Eight legs with no wings or antennae. Their bodies have only two sections-a fused head and thorax, and an abdomen. All spiders have a pair of jaw-like structures with a hollow, claw-like fang at the end. 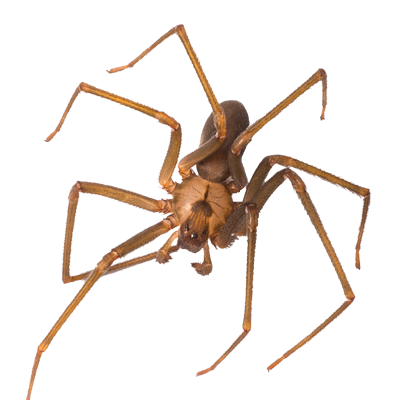 Depending on the species spiders can be found in both damp and warm dry parts of buildings. Most species hide in cracks, darkened areas or in shelter they make from silk.